The Kingdom of Thailand Draws more visitors than any other country in southeast Asia with its irresistible combination of breathtaking natural beauty, inspiring temples, renowned hospitality, robust cuisine and ruins of fabulous ancient kingdoms. Few countries are so well endowed. 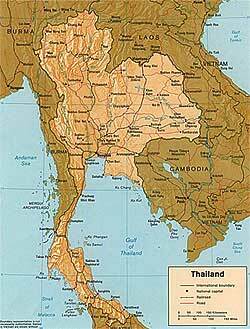 From the stupa-studded mountains in the northern part and the verdant limestone islands of the Andaman Sea, to the pulse-pounding dance clubs of Bangkok and the tranquil villages moored along the Mekong River, Thailand offers something for every type of traveller.Thailand was known for centuries by outsiders as Siam . It first made a real impression on the West atthe end of the 17th century, through the reports of a series of inquisitive Frenchmen. They were not the first Europeans to spend time in the kingdom, however. The Portuguese sent an envoy to the capital in 1511, shortly after theyseized Malacca. The Portuguese joined resident Chinese, Japanese, Malays andPersians to make the Siamese capital one of the most cosmopolitan cities in thevast region now known as Southeast Asia. SIAM PROGRESS DIVISION CO., LTD. offer variety of PACKAGE TOUR, SIGHTSEEING TOUR HOTEL&ACCOMODATION," BANGKOK CHA-AM , CHIANG MAI , CHIANG RAI , HUA HIN PRANBURI / PRACHUAP , KANCHANABURI , KHAOLAK-PHANGNGA , KOH CHANG , KOH KOOD , KOH LANTA , KOH SAMUI , KOH PHI PHI ,KOH PHA-NGAN , KOH TAO , KRABI , PATTAYA , PHUKET and all around Thailand". 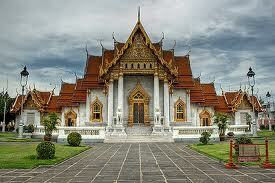 BANGKOK is one of Asia's most cosmopolitan cities. Created as the Thai capital in 1782 by the first monarch of the present Chakri dynasty, Bangkok is a national treasure house and Thailand's spiritual, cultural, political, commercial, educational and diplomatic centre. Major tourist attractions include glittering Buddhist temples, palaces, timeless Venice of the East canal and river scenes, classical dance extravaganzas, and numerous shopping centres. PATTAYA is a popular resort on the North Gulf Coast of Eastern Thailand, 150 km south-east of Bangkok. Most famous for its go-go and beer bars, it's also one of Thailand's best locations for all manner of sports and activities.Pattaya has everything to offer to holiday makers;wide beaches, water sports, interesting attractions, sightseeing, shopping, great hotels and resorts, international dining experiences - together of course with a raucous and naughty nightlife scene that's talked about the world over - makes Pattaya's formula for fun a big winner.This is the place where you can fill your day with endless activities.